This little brochure came with a Space Bug I got a couple of days ago. I never knew Cox made standard glow plugs for other engines. But I guess it made sense at the time. I see the finger guards show up occasionally on eBay, but they're always in horrible condition. I've also been keeping an eye out for the Pedal Putter. I want that "deep mellow tone of an English 2-cycle motorcycle". Interesting, Mark, thanks for sharing. 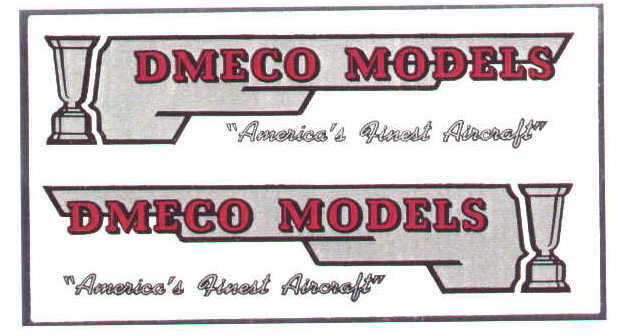 Same year, DeBolt Model Engineering Company (DeMECo) came out with the 1/2-A R/C kit, the 34" (865mm) wingspan Livewire Kitten. Also few realize that $6.95 US .049 Space Bug in 2017 inflationary dollars is $63. This would basically be the price of a .049 Tee Dee if it were still manufactured today. The $19.95 TD-1 RTF is $182, which is about the cost of a quality hobby store R/C RTF plane today. Inflationary rate is 812%, which goes to show by leaving the gold standard, our fiat money today is not worth much. 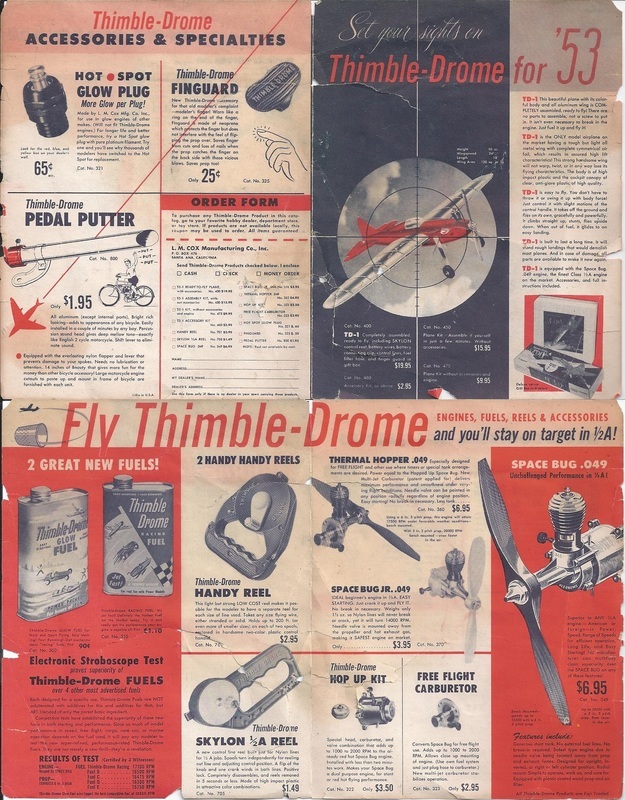 That $1.95 thimble-drome pedal putter is interesting, $18 in today's money. By eyeballing dimensions, one could manufacture such today. Not shown is the nylon flapper, which is hidden behind, but it would be fairly easy to replicate. Key would be getting thin wall tubing to make. May be a section of PVC pipe might work. Back in 1965, we as adolescents used partially inflate sausage balloons and tied the ends to a fender brace or bike frame to rub against the spokes. They made a motorcycle like thump unlike playing cards. With a half dozen of us riding the neighborhood in Biloxi, Mississippi, we thought we were cool. One neighbor threatened to call the police on us for making such a racket with those balloons. May be that is why I migrated to motorcycles. Baseball cards and a cloths pin. I never cared for having extra noise from my bike. I recall seeing some similar sound tubes when I was growing up, I recall they were just rolled sheet metal. I am not even sure if the edges were welded, jointed, or just butted together. I am sure thin plastic tubing would work just fine, like a drain extension or sch20.